Over the years, a lot has been said and written about the current Jetta. Introduced for the 2011 model year, the sixth-generation Jetta let loose on the North-American market was equipped with a torsion beam rear suspension, drum rear brakes, a low-tech 115-horsepower engine and a hard plastic dashboard, among other things. The trade-off was a base price set much lower than the previous-gen Jetta. The strategy worked, as sales in Canada almost doubled, climbing from 14,758 units sold in 2010 to 26,749 in 2011. The best calendar year was 2014 when 31,042 new Jettas found homes. For 2015, Volkswagen refreshed the car with new materials, a stronger and more efficient base engine as well as more modern suspension components, but the Diesegate scandal took care of halting the sedan’s ascension on the sales charts. A new Jetta is about to hit Volkswagen showrooms. It received a complete redesign and is built on the company’s MQB platform, which underpins plenty of current models, from the Golf to the midsize Atlas SUV. 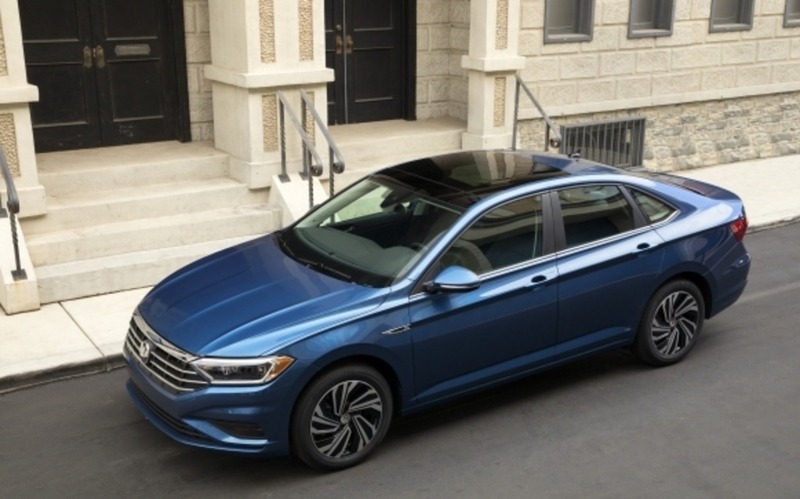 The 2019 Volkswagen Jetta retains the base turbocharged, 1.4-litre four-cylinder engine, matched to either a six-speed manual transmission or an eight-speed automatic. The car is equipped with standard features such as alloy wheels, LED lighting and an infotainment system integrating Apple CarPlay and Android Auto. On the options list are a fully digital driver instrument panel, a panoramic sunroof, heated and ventilated front seats, a BeatsAudio sound system as well as the usual plethora of advanced safety driving aids. The new Jetta will start at $20,995 before freight and delivery charges. We’re heading to North Carolina this week to get behind the wheel of this seven-generation Jetta, and we’re anxious to see how this new compact sedan drives and feels. Stay tuned.